Last year one of our UK clients went back to his native Australia. And when he joined a regional energy company in the middle of a rebrand, he saw it as the perfect chance to bring in a simpler, clearer tone of voice. Adrian had hired us to train E.ON’s large-business division in tone of voice, so he knew just what he wanted. We got a razor sharp brief. And that helped us create a new tone for Energy Australia (previously TRUenergy) quickly, and then get it signed off so we could start to tackle the mountain of dusty old letters. They needed to be right for their customers as well as true to the brand. When we develop a new tone of voice for our clients, we encourage them to start writing in it straight away. (There’s no point in beautiful guidelines if they just sit unused in a desk drawer.) So we train people in the new tone of voice in vital areas around the business and get them started on rewriting their most important documents. This helps the new tone really sink in and stick. But sometimes there just isn’t the time or resource for a client to tackle a pile of communications themselves. So Energy Australia handed us 200 letters to rewrite. The letters covered every point on the customer journey – from billing and debt collection to welcome letters. We needed to bring every point in this ‘lifecycle’ in line with the new tone of voice. And fast. So we got organized and stepped to it. We got to work splitting the letters into batches and parcelling them out to our writers. We rewrote, edited and gave each letter a final check before it winged its way back to Australia. And, we must have hit the mark, as they came back to us over the next year with another 250 letters to tone of voice and transform. 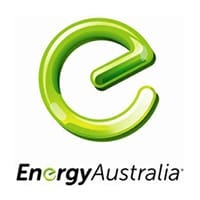 Energy Australia now have a way of writing that gets the right messages to their customers in the right tone. A win all round.